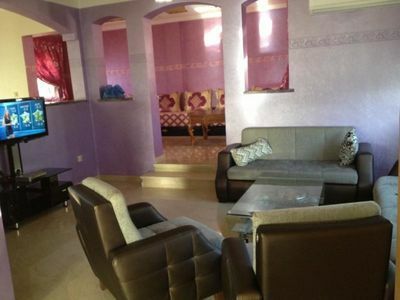 3 rooms to rent in the inhabitant of which one with small terrace. Possibility of smoking except in rooms. His murals, not to mention the mellah and the kasbah. Plants on several hectares of exposure. Practice: kayak or boat on the Oued. Bathing: at the exit of Azemmour, the mausoleum Lalla Aïcha is worth the detour.